Winter is upon us, whether we’re ready for it or not. Thankfully there’s still some crisp, sunny days so there’s no need to rug up at home when we can get out and enjoy the season. Each of our three Garfish restaurants have a revised winter menu with the best the season has to offer, which will make it hard to find an excuse to stay in. Manly has developed a delicious salt baked whole rainbow trout with fennel, sauce romesco and lemon. Crows Nest and Kirribilli won’t disappoint either – why not come down and try Kirribilli’s moroccon seafood tagine with harissa, saffron and almond cous cous, or Crows Nest’s thai jungle fish curry to warm you up? The winter menu is available now at Manly; Kirribilli’s winter menu starts on the 20th June: Crows Nest’s begins on the 21st June. Our range of winter desserts will have you finding any reason for a late night coffee, with dishes like our steamed golden syrup pudding and toffee apple and walnut crumble guaranteed to satisfy those winter food cravings. 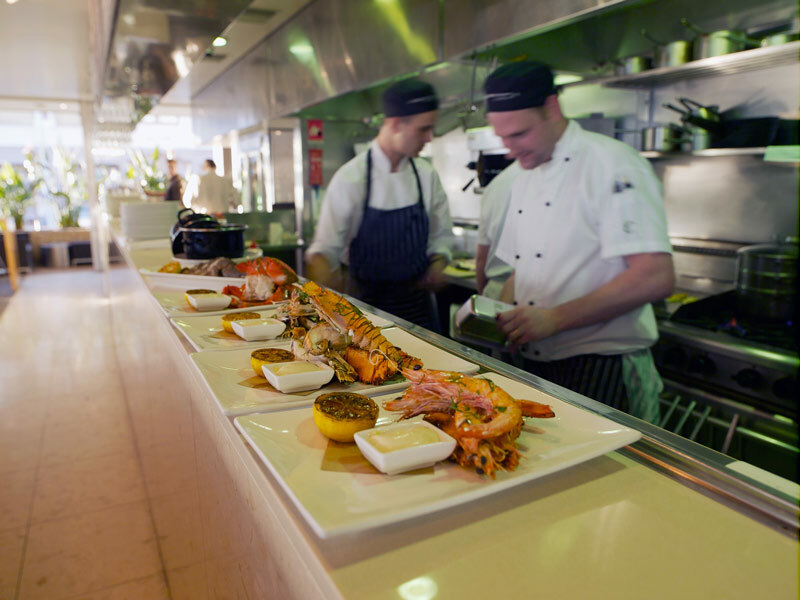 For a sneak peak at what you can expect, watch our chefs at Manly demonstrate a new dish from our winter menu, here.